The stitch count is 138 W x 382 H.
Stitches include cross stitch, double back stitch, Montenegrin and diagonal Montenegrin stitch, double running stitch, double back stitch and diagonal double back stitch, reversible cross stitch, spiral trellis stitch, detached buttonhole, blackwork pattern, satin stitch, chain stitch, running stitch, Algerian Eye, Four Sided stitch, alternating double back stitch, diagonal cross stitch, Queen stitch and diagonal Queen stitch, reversible diagonal cross stitch, Bullion knot, Trellis stitch, Buttonhole Bar and Detached Buttonhole. The model was stitched on 36 count Cream linen using Soie d' Alger silk floss, DMC Special Dentelles #80, and DMC Pearl Cotton #12. 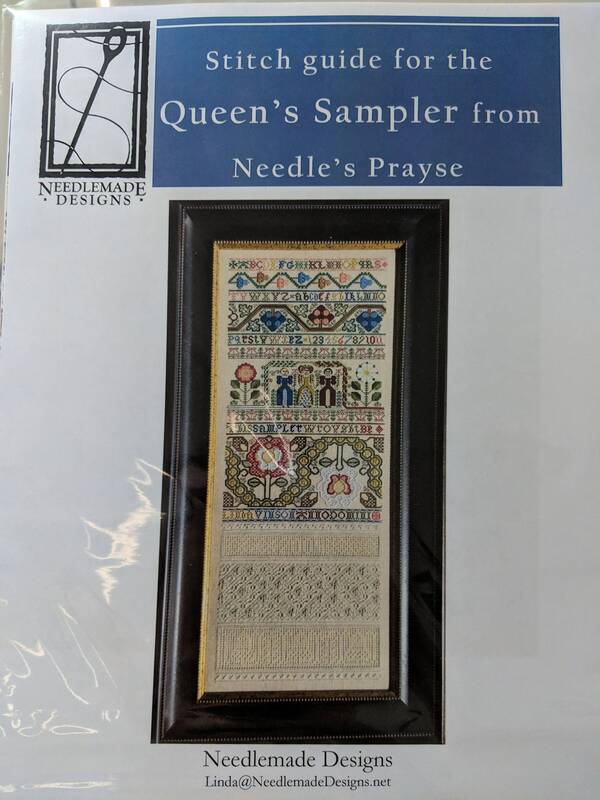 Now also available is a guide to the stitches used by Needlemade Designs in their adaptation of this fabulous sampler. 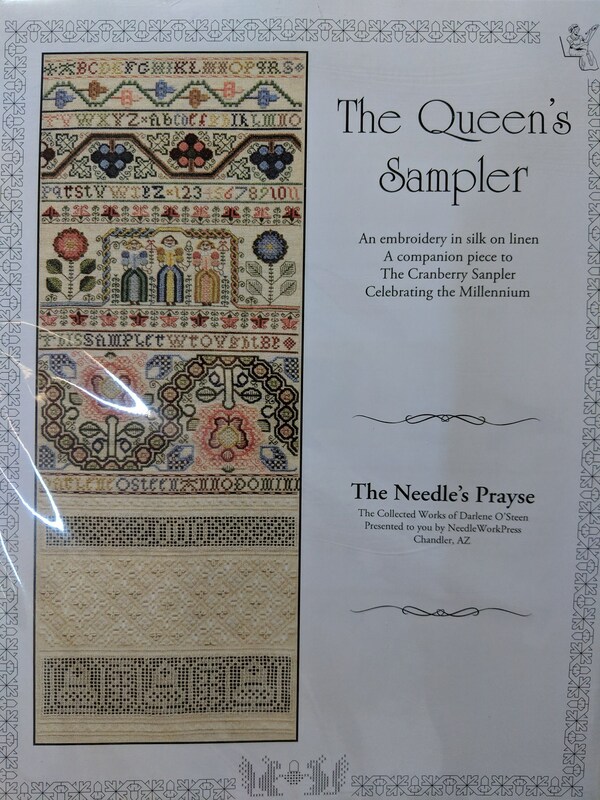 It includes 11" x 17" colour photos of the front and back of the entire sampler, colour corrections to today's dye lots of silks, stitch diagrams and suggestions for the shown adaptations. Shipped quickly and arrived in good condition.